The dbx 510 Subharmonic Synthesizer is a powerful 500-series module that actually produces a new Waveform Modeled bass note that's exactly one octave below the bass in the original audio. 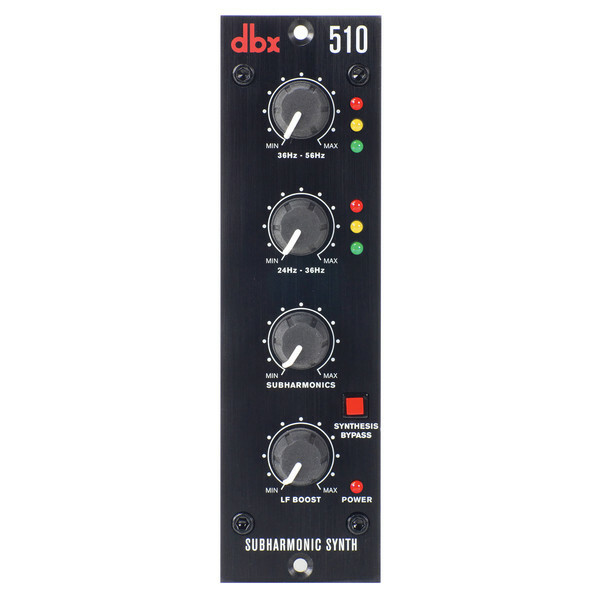 The two independent bands of subharmonic synthesis provide you with a superior combination of smoothness and control, while the Low Frequency Boost circuit ensures you get the most out of high-performance, low-frequency speaker systems. 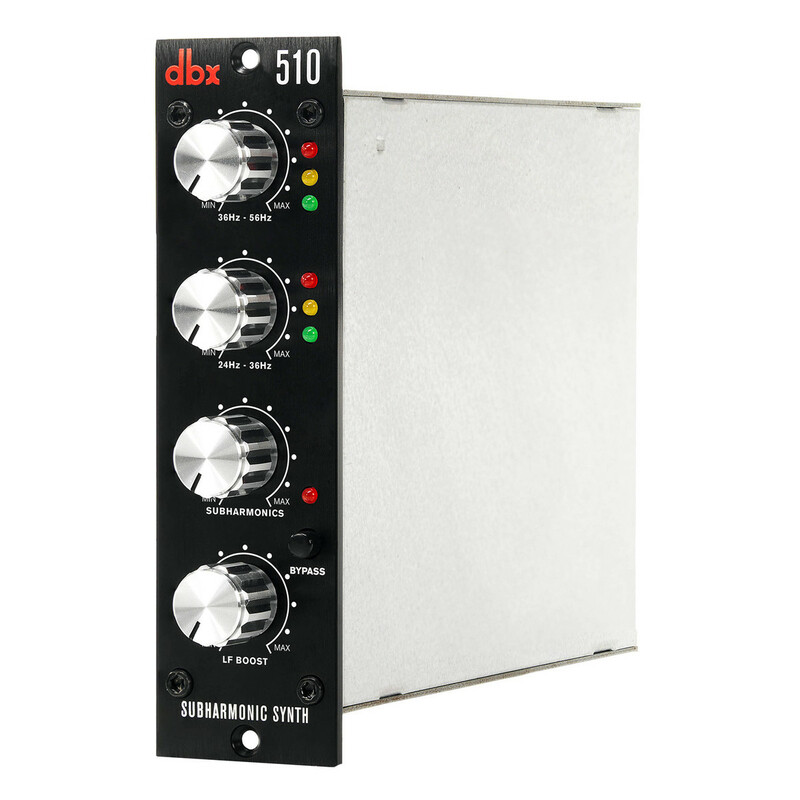 Unlike other bass synthesis processors, the dbx 510 produces musical low frequencies that don't interfere with mid and high-band information, even when the maximum synthesis and boost are applied, resulting in a low-end punch that you can really feel.